[SkipNightUI] Image Library is not installed. It is required to load the images. Unable to continue! How do I set the skipnightui.admin permission? Then the plugin is not loading. 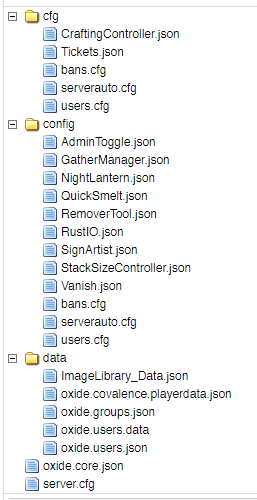 Where's the config file for SkipNight UI located? It's running on the server, but the config file isn't in the oxide/config folder. Check to see if the plugin is loaded and having any errors. 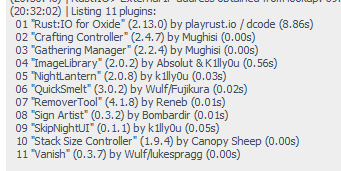 i opened a thread HERE just in case anybody wants to now what plugins I'm running on my server. Get a chance to look at this yet? Other plugin works fine, can you see to fix it please or tell me how to fix ? at me the plugin dont load ..